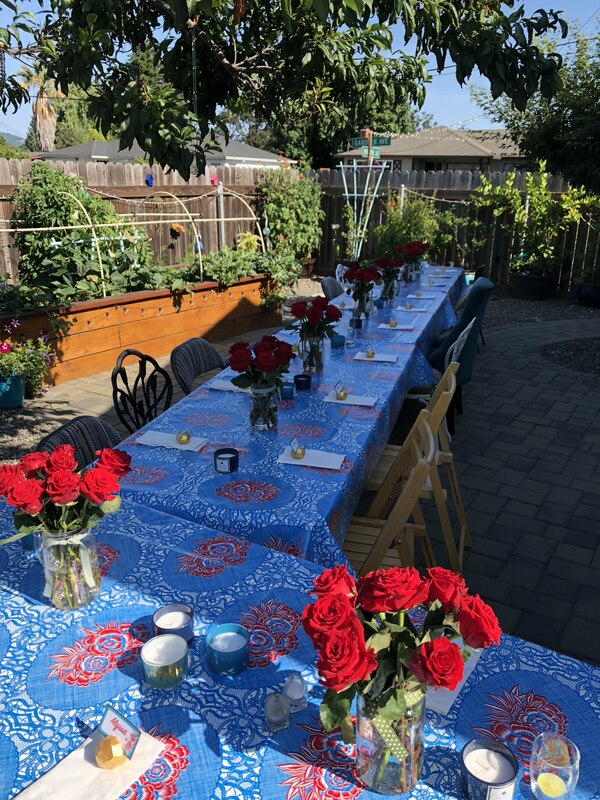 For the last three summers, we’ve thrown a garden party in our backyard. Each was a glorious celebration of life, marking the anniversary of Mama outliving her brain cancer prognosis. This past soiree, we ended up with more than 500 pictures, including tons of hilarious shots from a photo booth I created. It has taken me months to sort through them all, especially since we were nearly immediately consumed with Venice plans post party. Tonight I finally finished organizing the photos into shareable online albums, including one for all of the photo booth shenanigans and a highlights reel of the best 60 shots. I enjoyed being reminded of the fun times we had and look forward to sending the links to all of the partygoers. Today’s #OneGoodThing was organizing last summer’s party pics and sharing them with Mama. What was your #OneGoodThing today? Please share in the comments! Day 55 of 365. And Day 1,151 in a row (here’s the first 366, & the following 365, & the third year of 365 good things)!